The name translates to Mansion of the Valley. Situated approximately 1000 feet above sea level, here you will find a cosy Georgian style farmhouse, within 15 acres of farmland, with breathtaking views up and down the Upper Wye Valley. 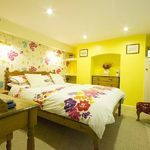 4* B&B en-suite accommodation, where visitors are assured of a peaceful stay and genuine welcome from owners Pauline and Michael. The other residents on the farm include a rare flock of Pedigree Dutch Zwartbles sheep and various chickens, so guests can be assured of fresh farm eggs with their hearty breakfast in the morning. There is also a separate lounge for guests to relax in, with literature on the surrounding areas and activities which take place. Ideal for Devils’ Bridge (popular with Bikers), the coastal town of Aberystwyth, Powis Castle, Elan Valley Dams, The Centre For Alternative Technology, local Red Kite feeding stations, Silver Lead Mine at Llywernog or the Welsh Crystal Factory in Rhayader, to name but a few. For the rally and motorcross enthusiasts, Plas Bwlch is only three miles from the Sweet Lamb Rally Complex, where events take place throughout the year. The local village of Llanidloes has pubs, an award winning fish and chip shop, cafe, bistro, Tourist Information office and is where Yamaha Off Road Experience is based. Secure and locked parking. Offering a great home from home with Vegan, vegetarian and organic local foods prepared for breakfasts. Also evening meals with prior notice. 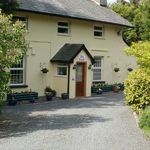 An en-suite double room (£40 per night) and a twin bedded room with adjoining private bathroom (£35 per night). 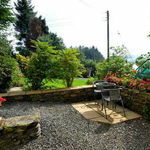 In the rural village of Felindre and a short ride to LLanidloes for cafes, pubs and places to eat. Owners Steve and Susanne welcome you. Free Wi-Fi. Motorcycle washing facilities. Garaged and covered parking. tel: 01686 412 598 - Contact direct to book.